At that moment, at least, Knorr was no Jose Molina. We’ve all seen it on television: the center-field camera zooms in on the mitt, where the catcher does his best to massage balls into strikes. Technically, it is an attempt to cheat, an ingrained and artful baseball deception as old as the neighbourhood play at second base. How much does it influence the game? More than you probably thought. In a sabermetric age in which everything is seemingly measurable, teams can calculate how many runs a catcher can save by mastering the art of pitch framing. Web pages galore are devoted to the topic, with statistics enthusiasts analyzing the location of every pitch and tabulating which catchers are best at gaining strikes. Teams are keeping count as well. Knorr is now the bench coach for the Washington Nationals, who have devoted more resources to analytics in recent years under General Manager Mike Rizzo. This spring training, Rizzo made a trade with the Tampa Bay Rays to acquire Jose Lobaton, in part, because Lobaton rated well in pitch framing. And where did Lobaton learn the skill? From the guru himself, Molina. A half-dozen extra strikes in a game can make a difference. 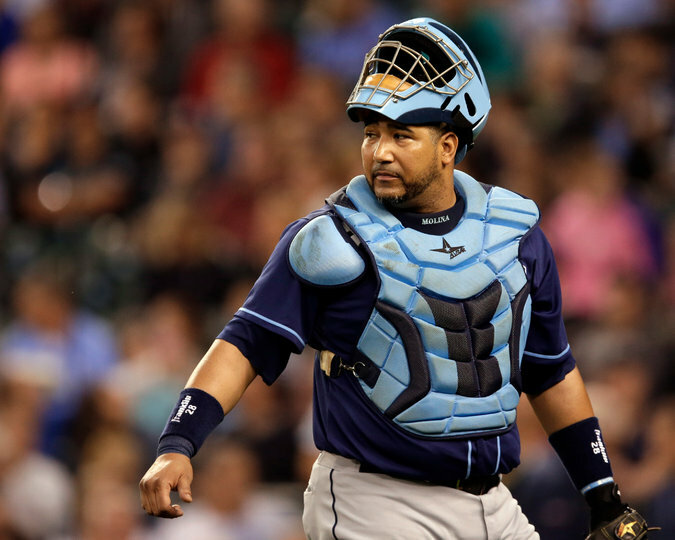 Rays Manager Joe Maddon once said that Molina was worth 50 runs a season based solely on pitch framing. Other estimates vary, but mathematical consensus indicated that Molina’s subtlety with the glove translates into three to five extra wins a year. That’s enough to win or lose a pennant. Molina’s peers at the top of pitch-framing ratings include his brother Yadier Molina of the St. Louis Cardinals and Jonathan Lucroy of the Milwaukee Brewers. All have something in common: soft movements using the wrist and elbow, while the rest of the body stays still. Lucroy said it took years to hone the skill after he first paid attention in the minors. Another pitch-framing master was the four-time All-Star Bob Boone, now an assistant general manager with the Nationals. Boone would be so intent on keeping still that, if the bases were empty, he would let the ball glance off his webbing and roll to the backstop rather than move his mitt to catch it. Conversely, there are catchers who cannot sit still. It should not be a surprise that Jorge Posada, who retired from the Yankees after the 2011 season, statistically ranks among the worst pitch framers in recent major league history. Posada spoke of the importance of the skill while working as a guest instructor with the Yankees this spring, but he did not venture an opinion as to his own ability.